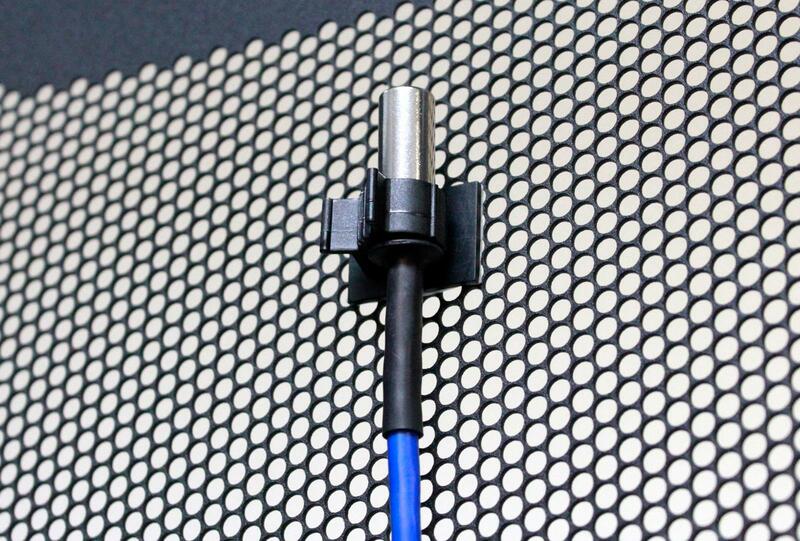 AKCP temperature sensors are easy to install and include extensive support documentation. Temperature sensors ship with the cables and accessories required for basic temperature sensor installations. Monitor temperature. Lower CRAC setpoints. Reduce costs. Start with a single sensorProbe and a dual temperature & humidity sensor to monitor server cabinet temperature & humidity. Add more temperature sensors and locate hot spots within a server cabinet. Assign temperature sensors and internal server CPU temperatures to AKCP’s ThermalMap software to visualize in real time server rack temperature. Use collected temperature sensor data to safely raise air conditioner temperature setpoints without putting mission critical equipment at risk. Save on server room cooling costs and lower server room PUE one rack at a time. 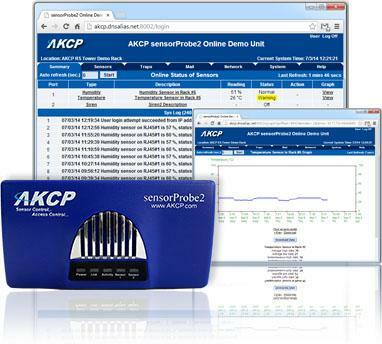 AKCP sensorProbe and securityProbe units include a HTML user interface providing a overview of all connected sensors. The graph for each sensor can be customized to show a specific time range using an easy to use option menu. RRD tool is used to build an embedded database of sensor data. All sensor data can be accessed from the web interface, or downloaded to a remote PC. Sensor graphing is included with all sensorProbe and securityProbe base units. Monitor up to 16 graphs on the securityProbe. Easy to install. Mass configuration tools included. 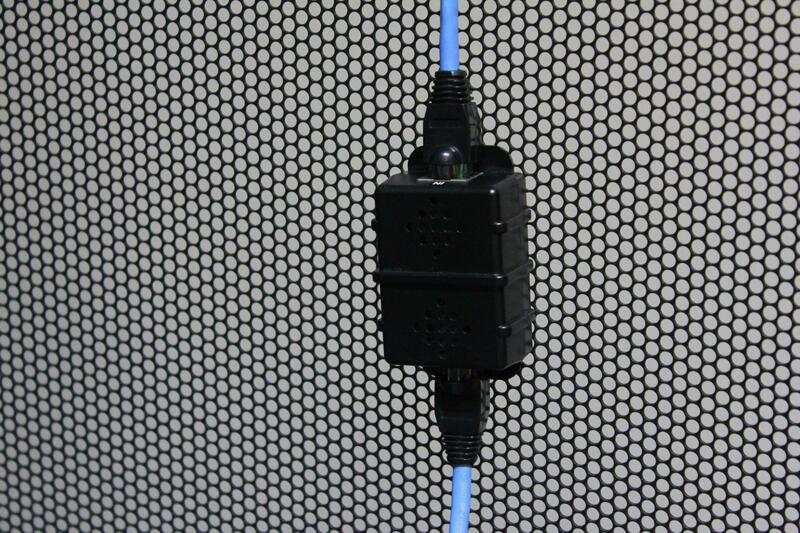 All AKCP sensors use a standard RJ45 network connector and CAT5 cabling. Custom sensor cable lengths can be specified when ordering or, for advanced installations, can be extended to the required length on-site. 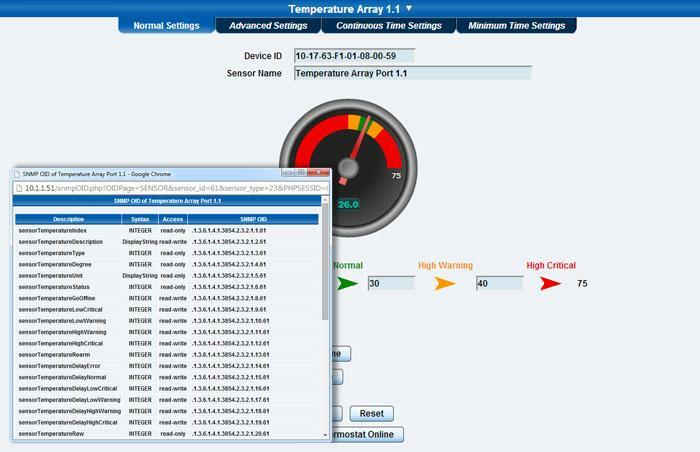 Use the embedded sensor configuration web interface or AKCP’s DCIM Software, AKCess Pro Server to configure the temperature sensor. Set a range of sensor thresholds to use with sensor notification wizards. Features such as “Continuous Time” avoid multiple notifications when temperature fluctuates rapidly between threshold set-points. Deploy to 1000’s of cabinets with a single configuration file. 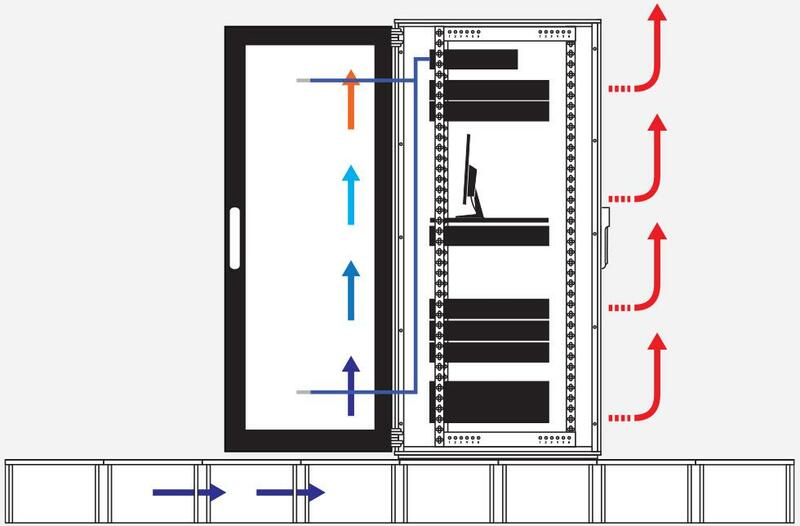 An essential part of any server room monitoring system is accurate temperature and humidity monitoring. High temperatures can lead to system failure, unwanted downtime and costly repairs. AKCP platforms help to avoid these costly errors with easy to configure, cost effective systems that are ready to run, right out of the box. Events that lead to disaster can be used to proactively alert IT staff to maintain equipment correctly or to take corrective action. AKCP actively maintains a downloadable sensor MIB file containing SNMP OID references to AKCP sensors and equipment. AKCP sensorProbes are SNMPV1 & V2 compliant. AKCP securityProbes are SNMPv3 compliant with full encryption.